Ever struggled to remove mastic, glue, adhesive, thin-set, or any other stubborn coatings off a concrete floor? Struggle no more! 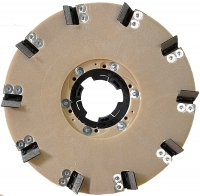 This revolutionary new tool is used on a 15" or 17" floor machine and easily removes the most stubborn of coatings. 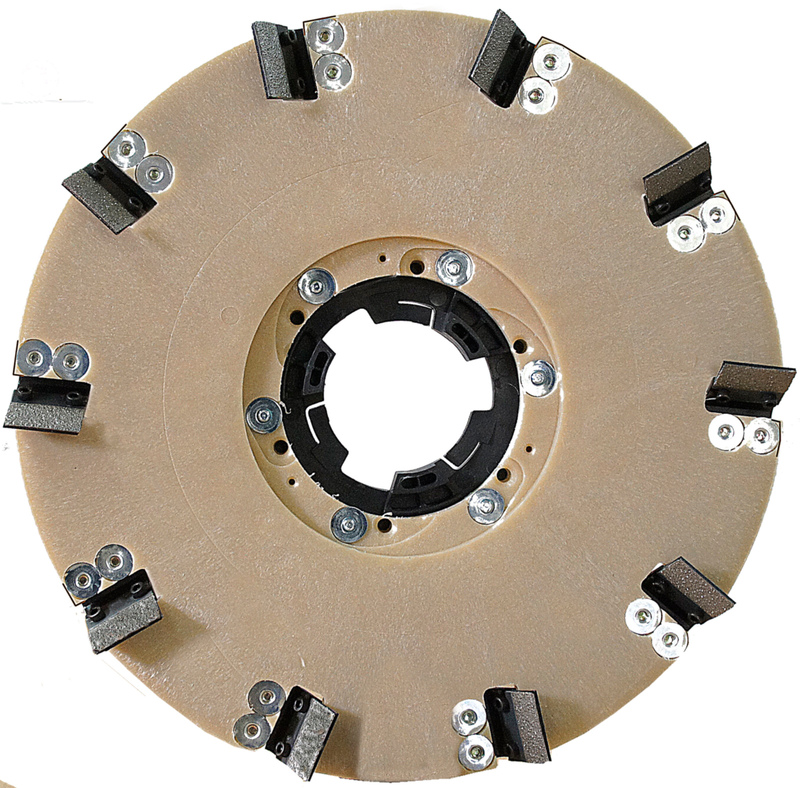 The patented system features 10 small diamond blades which will not gum up or clog like other abrasive products on the market.